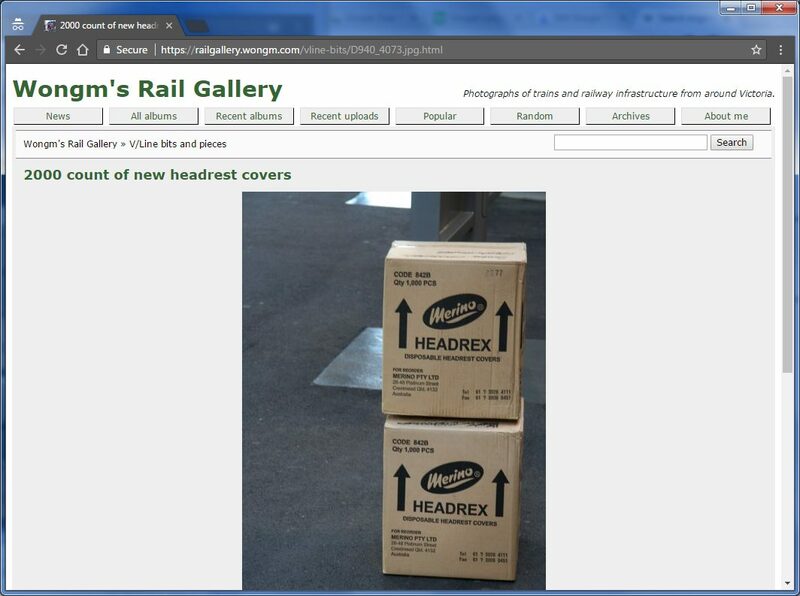 I was writing a post about the use of antimacassars onboard V/Line trains, so started researching the Australian supplier of the seat headrest covers. 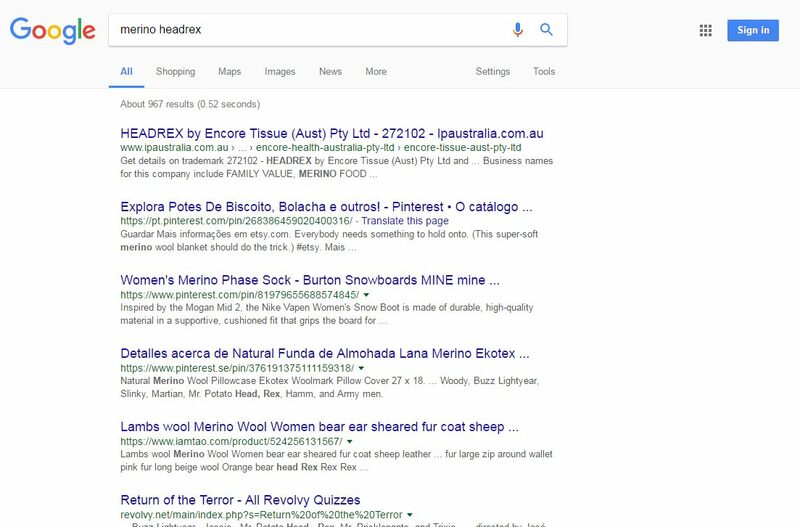 My search term in Google was ‘merino headrex’, which only brought one relevant search result: a copyright application for the ‘Headrex’ name by Encore Tissue (Aust) Pty Ltd, owner of the ‘Merino’ brand. Bing Search also delivered similar results for the same search query. 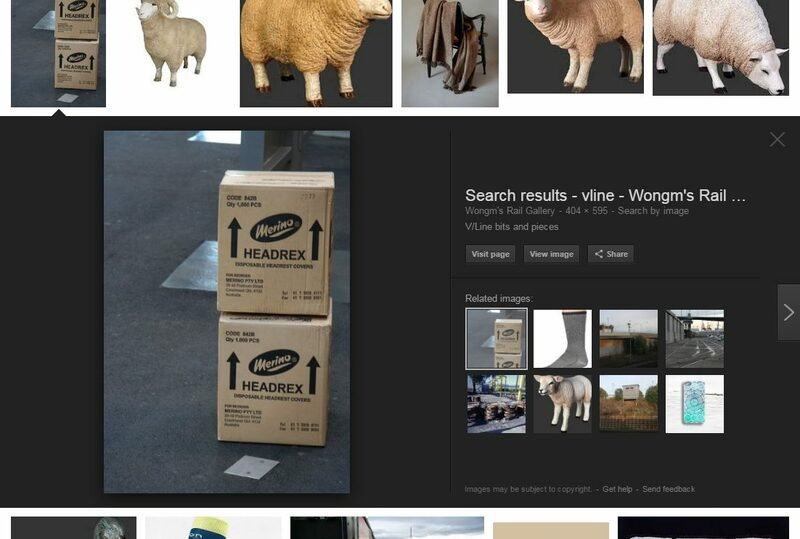 But when I flicked over to Google Image Search, something new appeared. 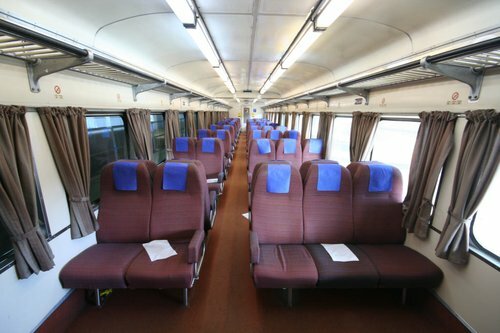 A photo of mine, that was what let me to search for ‘merino headrex’ in the first place. But the spooky part – I had never put the words ‘merino’ or ‘headrex’ anywhere on my website. 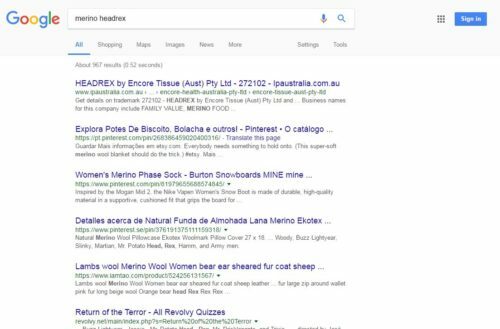 So the most likely explanation – Google is applying OCR to the images that it finds, then adds the data to their search index. Over the years a number of Search Engine Optimization (SEO) blogs have speculated around Google’s search indexing capabilities. Information Week suggests that privacy issues raised by Google Maps Street View will get more complicated as eventually YouTube videos will be indexable via the text that appears within them. ‘SEO by the Sea’ in November 2015. A question was posed to Google’s Gary Illye’s on Twitter if Google’s crawler and indexer understands the text embedded in an image, maybe through OCR or other techniques. I am surprised to hear Gary say no. A year is a long time on the internet. 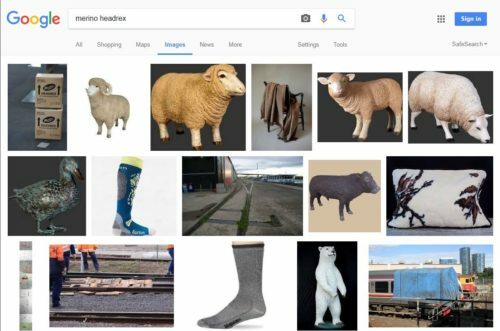 Take a look at the other results from Google Image Search, and spot the odd one out. 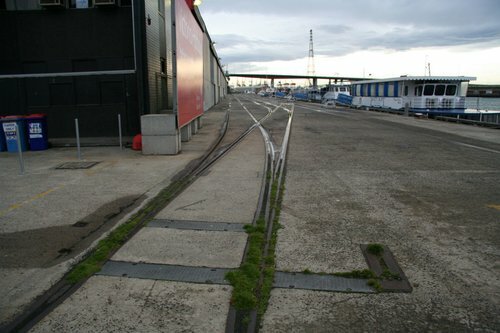 Railway tracks on a wharf. 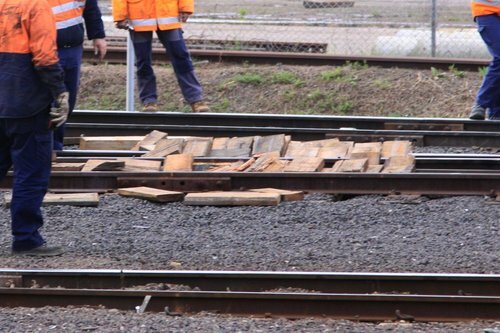 People in hi-vis vests standing around a pile of wood. 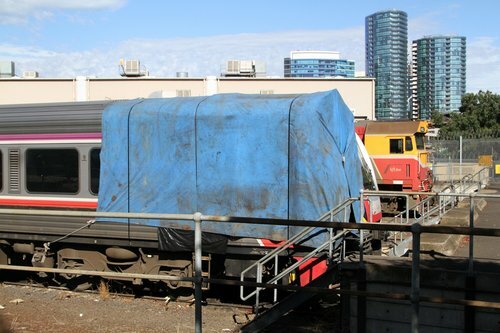 And a train covered in a tarpaulin. They have nothing at all to do with a merino sheep, but they do have one thing in common – they are hosted on the same domain as my ‘merino headrex’ image. 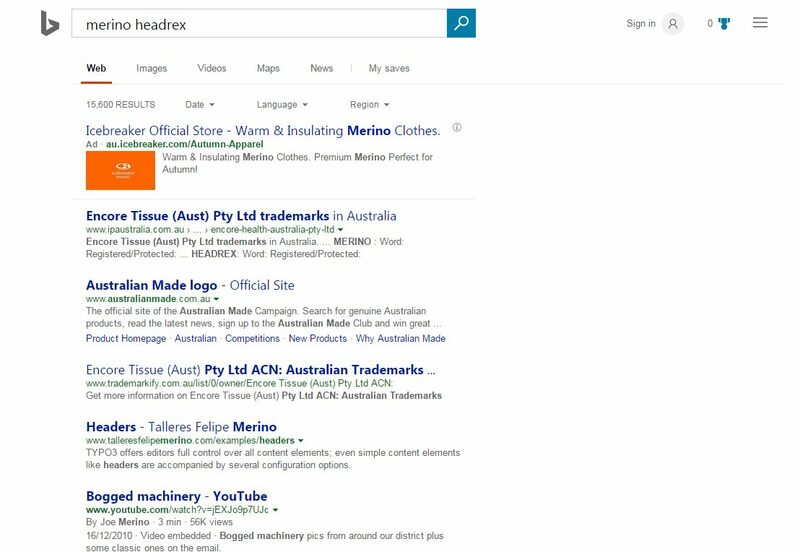 Thanks to lack of any other relevant results, Google’s algorithms decided that proximity to a relevant image is enough of a ranking signal to push it up the search result pages. I’ve confused Google’s algorithms in this way before, with my Hong Kong themed blog at www.checkerboardhill.com/. 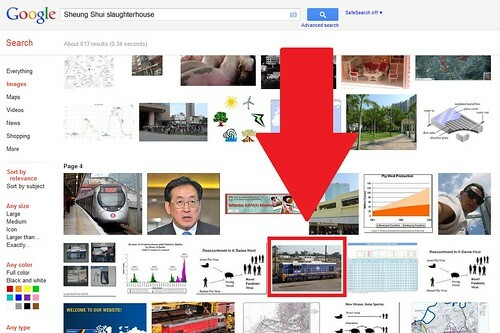 I searched Google for “Sheung Shui slaughterhouse” but was given my own photo of an Australian diesel locomotive!